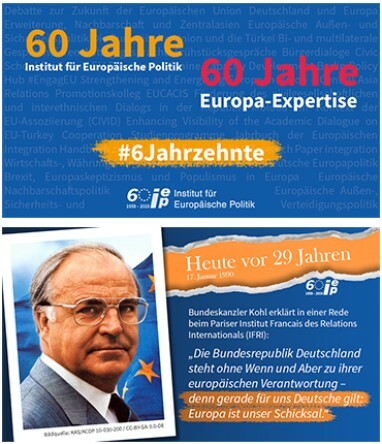 In 2019, the Institut für Europäische Politik celebrates its 60th anniversary and thus 6 decades of European policy research and the practical application of research results. 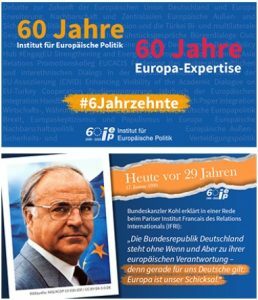 Until the end of the year, we will therefore look back at some IEP milestones as well as the European history of integration with you on Twitter, Facebook and LinkedIn using the hashtag #6Jahrzehnte. You will receive brief information on the data, interesting background information and information about our publications that relate to the dates.